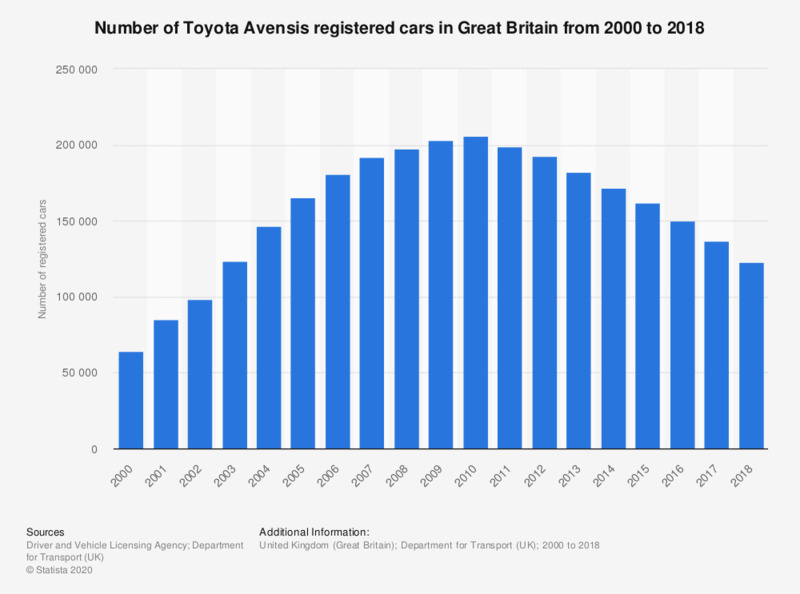 This statistic shows the number of Toyota Avensis cars registered in Great Britain between 2000 and 2018. The figures represent a running cumulative total. The Toyota Avensis was one of the most popular car models in Britain by 2018. The number of registered cars grew from 64.2 thousand in 2000 to over 206 thousand by 2010. The number has since decreased to slightly over 126 thousand units in 2018.